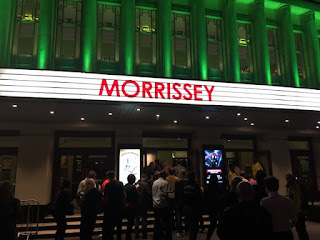 On Sunday night Stuart and I went to see Morrissey at the Eventim Apollo in London's less than glitzy Hammersmith. Mozzer was in a fine form. As expected there were only a couple of The Smiths songs and only a slight nod to his hits from his back catalogue but that didn't matter. We were there to bathe in his glorious curmudgeonly persona and his impossibly catching songs. He mentioned the Royal Family (check), Jeremy Corbyn (check) and following an extended version of Meat is Murder to a terrifying video of animal slaughter asked, "What excuse do you have now?" Towards the end there was a brief power outage. "The bloody Royal Family got me in the end!" he joked. 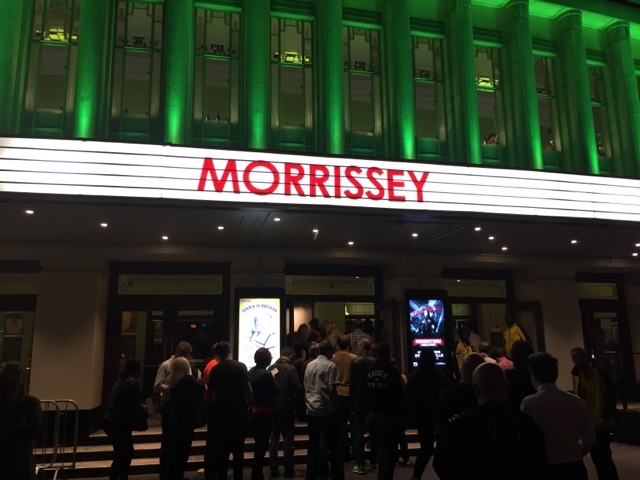 Top night by a man in utter control of his own creative output.